New York Mills is a charming and genuine community of rich heritage–with friendly people, safe neighborhoods and great opportunities. A place where today’s modern opportunities meet yesterday’s traditions. The people of New York Mills take pride in calling it home, value service towards one another and are involved and committed to the community’s history of progress and success. You will find New York Mills to be a great community to raise a family, start your own business, or become involved in a variety of activities. Or simply to enjoy the natural beauty of the community with its six well maintained parks, tidy neighborhoods and friendly people. New York Mills is the home of Lund Boats, manufactured exclusively in our community’s facility. 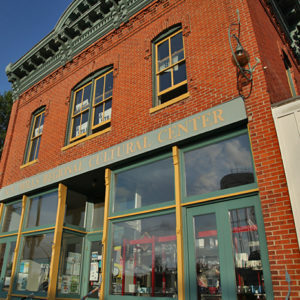 Rich in arts and culture, the New York Mills Cultural Center brings opportunities often only available to those in close proximity of the a larger city. An excellent school system provides quality education to help students prepare for their futures, as well as enjoy strong extra-curricular teams and activities. In short….You will find yourself welcome in New York Mills! Whether you are staying for a day or a lifetime, you will feel at home! Thank you for visiting the New York Mills City website! No upcoming events in the area. View all events. No locations currently listed. View all lodging options. No job openings currently listed for this community. View all job openings.